The art of creating a silhouette has been around a long time, but was most popular in the 1700s and early 1800s. A silhouette, cut from dark paper, shows a person as a solid shape, one color, usually in profile. Sitting for an artist who brushed oil paint onto canvas took time and was an extravagance most people could not afford. A silhouette, however, also called a "shade," "profile," or "shadow portrait," took only minutes to create and was cheap enough for the masses to buy. 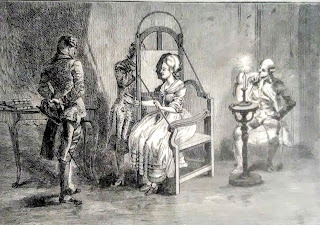 The name "silhouette" comes from the French finance minister, Etienne de Silhouette, who relaxed cutting images out of paper. He also liked things done cheaply. His name soon stuck to this inexpensive form of portraiture. 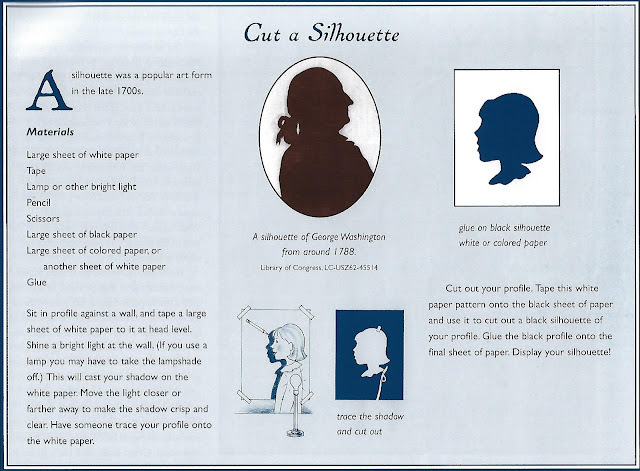 Expert silhouette artists could eye a person's profile and snip away at the black paper until the image remained. Other artists used a light and a screen to cast a shadow of the subject. They traced the outline and cut it out. 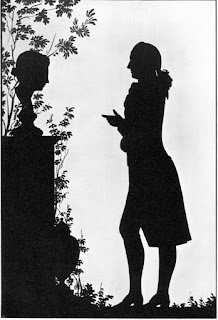 Silhouettes remained a popular means of creating portraits until photography began taking over in the 1840s. 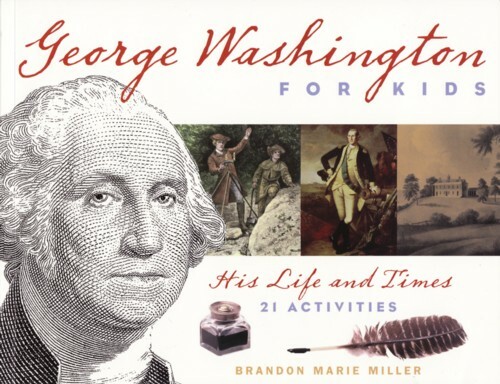 This activity comes from my book, George Washington for Kids, His Life and Times.